Here is the latest media schedule for the rollout of Our Sarah: Made in Alaska, written by Governor Palin’s father and brother. Chuck Heath, Sr. and Chuck, Jr. will be very busy as they promote the story of Governor Palin’s upbringing, adventures, and influences. The article reposted below: “Census Bureau Electoral College 2012 Map Shows Palin’s Eleven Vote Win” has proven to be the most popular ever posted on the M.Joseph Sheppard’s “A Point Of View” site. 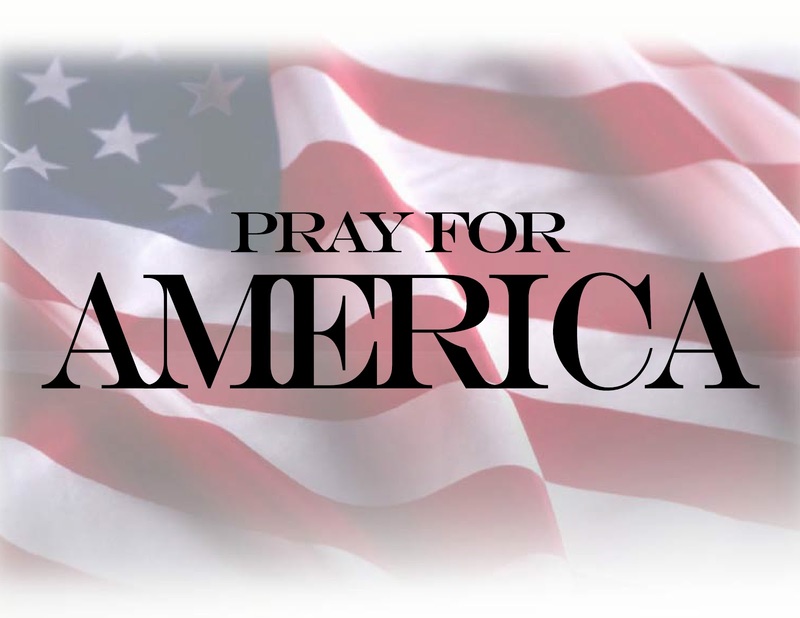 It was reposted at “The Sarah Palin Information Blog” site also in December 2010. Surprisingly, pleasantly, and somewhat mystifyingly, it is growing substantially in page views even though Palin is not running. The article was written at a time when it was considered that Palin might make a run for the GOP’s nomination in 2012, and of course, for the presidency should she have been successful at gaining the nomination. Given the voting history of the states assigned to Palin in the Electoral College map, it was entirely feasible that she could have won the required number of EC votes to have reached the 270 needed to be elected (irrespective of the popular vote). The article garnered a bit of interest at both sites, and readership declined precipitously (and of course understandably so), after Palin declared she would not be a candidate in October 2011. But, astonishingly and interestingly, the readership of the post has since increased strikingly! Commencing with an uptick in May of this year, and accelerating to over 4000 page views for August and September to date, as per the analysis below from the SPIB site.. The article has not been front page on either site since it was first posted so for thousands of page views to have happened recently, (a total of over 9000 between the two sites since published), means that people are searching for the article. Perhaps and possibly more likely, they search for an Electoral College map pertaining to the current Obama vs Romney campaign, and upon seeing the link to the post, are clicking on it. This raises the question as to why that is happening. Does it mean that people are interested in “what might have been” and, given the election is soon upon, want a comparison to the current Electoral College maps which are showing President Obama with a substantial lead? Are Republicans looking towards 2016 should Romney lose and judging whether Palin would be better placed to win under those circumstances? The fact that there is such interest in the possibility of a Palin campaign -when she is not running now – shows, indisputably, that there is huge interest in the possibility of a future run to the degree that people wish to see exactly how a Palin run could bring victory. The map, in my opinion, shows a more than viable path to an election win for Palin. The final 2012 Census Bureau Electoral College adjustments are now in and we can take a preview snapshot of what the most likely result will be for Sarah Palin. With the population shifts and a net Republican states gain of 6 electoral votes over the 2008 allocation Palin would assume the presidency with an eleven electoral vote margin. There is room therefore to lose Colorado or Iowa and still win comfortably. Important update: Due to the publisher’s embargo, I won’t be able to run my interview with the Heaths until Monday evening! The information below has been changed to reflect the new show information. 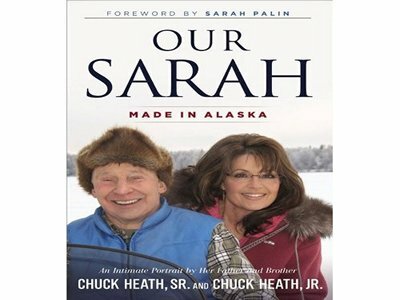 As luck would have it, I snared a first interview with Chuck Heath, Sr. and Jr., to talk about their new book, “Our Sarah – Made in Alaska”. I’ll be broadcasting that interview on a special edition of the Roderic Deane Show this coming Monday evening. Join me on Monday, September 24th at 10:00pm ET! I have a great interview lined up and the book is the bomb! The show page is HERE. Be there or be square! Apart from her utter liberal bias and Palin disdain being on the wrong side of history, Salon’s Joan Walsh shows an ignorance, or perhaps a wilful blindness, towards presidential election history. In her efforts to attack the Romney/Ryan ticket, Walsh posits that Ryan may be having buyer’s remorse about having signed up for the 2012 run, and that his future presidential prospects may have been irreversibly dimmed because he answered Romney’s siren song. Rather than let polemics get in the way of proper historical research, lets take a look at the facts. In the past 100 years there have been 25 losing VP candidates -the full list is below. Of the 25, five had no chance of being elected because they were dead four years after their VP run, so yes, in their case, there was not much of a market for whatever services they might have been able to provide in their condition. There was a market for three – FDR/Mondale/Dole one of whom won, so the percent of those who ran and won is not too bad especially considering Mondale and Dole were up against hopeless odds. So there were 17 others who were “unmarketable,” one whom the jury is still out on. Actually 16 unmarketables, because Earl Warren was Chief Justice of the Supreme Court, which some may consider to be a better job than president, especially as it is not term-limited. So the 16 unmarketables are, as Walsh would surely certainly admit, if she were honest about it, or had bothered to look at the list dispassionately, just that – unmarketable, and would never have been considered as presidential nominees. Most were put on the ticket to be geographical ballast, e.g. the never-to-be-remembered William Miller. Some for political favors, e.g. William Jennings Bryan’s brother Charles Bryan. The unspeakable John Edwards’ marketability speaks for itself. So to correct Walsh, there is a market for those who have run for vice-president and lost, but who have realistic chances of getting the nomination. Much as Walsh would not like to admit it, one such is Sarah Palin. 1912 Nicholas Butler. No nationwide media attacks on him. 1916 Charles Fairbanks. No attacks four years later because he was dead, but unlikely there would have been any anyway. 1920 F.D. R. (Before he was F.D.R.) Plenty of attacks in New York state but nationwide-nothing. 1924 Charles Bryan. Who? (actually W J Bryan’s brother). 1928 Joe Robinson. Nope, nothing happened. 1932 Charles Curtis. See Fairbanks. 1936 Frank Knox. Nothing happening for Frank nationwide, negative media wise. 1940 Charles McNary. See Curtis/Fairbanks. 1944 John Bricker. Didn’t suffer from adverse media attacks. 1948 Earl Warren. Plenty of media attacks when he was Supreme Court head but not presidential election attacks. 1952 John Sparkman. No sparks. 1956 Estes Kefauver. See Curtis et al. Mortality rate surprisingly high for losing VP candidates. 1960 Henry Lodge. Too patrician to be attacked. 1968 Edmund Muskie. Faded into political oblivion. 1972 Sargent Shriver. Too likable to be attacked and never taken seriously as a candidate. 1976 Bob Dole. Nice gentleman who the media would have been seen as bullies picking on ex post facto. 1980 Walter Mondale. No personality to attack. 1984 Geraldine Ferraro. From obscurity and back again. Also the days when women were not fair game. 1988 Lloyd Bentsen. No point in attacking the harmless, dignified, old gentleman. 1992 Dan Quayle. Same as Bentsen but young/undignified. 1996 Jack Kemp. No threat to anyone and too nice a guy to attack for no discernible reason. 2000 Joe Lieberman. Not a nationwide candidate possibility but attacked in Connecticut by his own party. 2004 John Edwards. Beyond any possibility of being attacked politically as utterly dead politically. 2008-2012. Sarah Palin. Attacked without any remorse or ethics, and often any discernible reason, from her national debut to this very day. Hated by the leftist media/Dems/Hollywood (all one and the same). Not running for any office four years from VP nod, yet would have had, surely more attacks than any previous candidate either during campaign and afterwards. Fair use notice: This website contains copyrighted material, the use of which may or may not have been specifically authorized by the copyright owner. Excerpts of such material is made available for educational purposes, and as such this constitutes ‘fair use’ of any such copyrighted material as provided for in section 107 of the US Copyright Act. In accordance with Title 17 U.S.C. Section 107, the material on this website is distributed without profit to those who have expressed a prior interest in receiving the included information for research and educational purposes. Original material published on this website may be excerpted and the excerpt reproduced for the purpose of critical reviews. However, such original material may not be reproduced in full on another website or in any manner without prior approval from this website’s owner. In all cases when material from this website is reproduced in full or in part, the author and website must be credited by name and a hyperlink provided to this website.